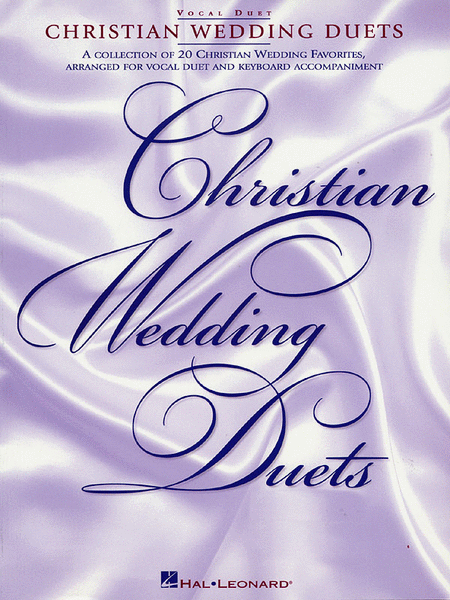 A collection of 20 Christian wedding favorites, arranged for vocal duet and keyboard accompaniment. Songs include: All I Long For - God Causes All Things to Grow - I.O.U. Me - Love of the Lasting Kind - Love's Not a Feeling - Only God Could Love You More - Perfect Union - Seekers of Your Heart - To Have and to Hold - more.